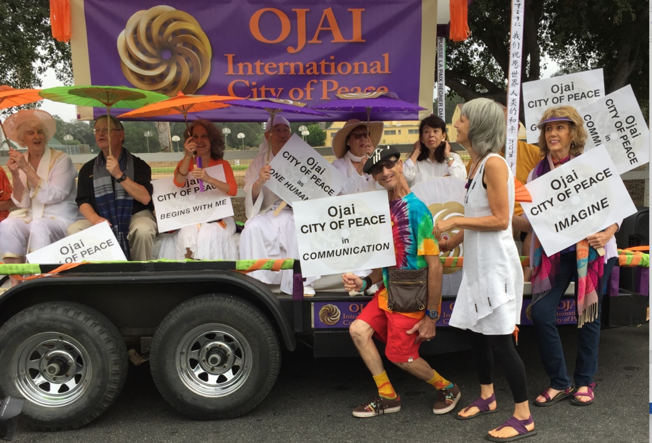 The Peace Pod in Ojai, California designed, gained City approval, and invited the community as they mounted an International Cities of Peace municipal sign at the entry to their City. 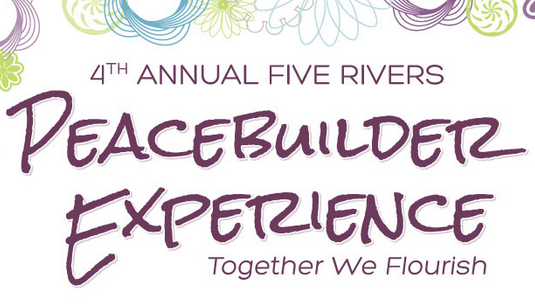 Details on design are available from the leaders of this innovative peace team. 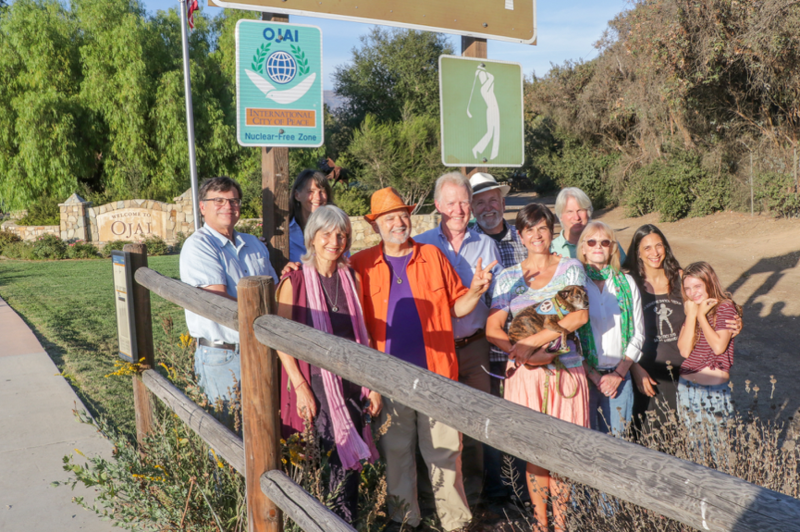 Welcome to the citizens and members of the peacebuilding community in Ojai, California: International City of Peace. Ojai, California is a community with a long history of peace consciousness. In this sense, Ojai International City of Peace is a continuation of this endeavor. It offers events that inspire and educate the community to build a culture of peace and which honors our one shared humanity and interconnectedness with all forms of life. Ojai ICP acknowledges specifically the Chumash native people and their indigenous history of the Ojai Valley which dates back over 13 thousand years. The local elder and keeper of their history is regularly opening ICP Ojai events with prayers for peace and healing. It is said that the original reason native people came to the Ojai Valley was for ceremony and healing. 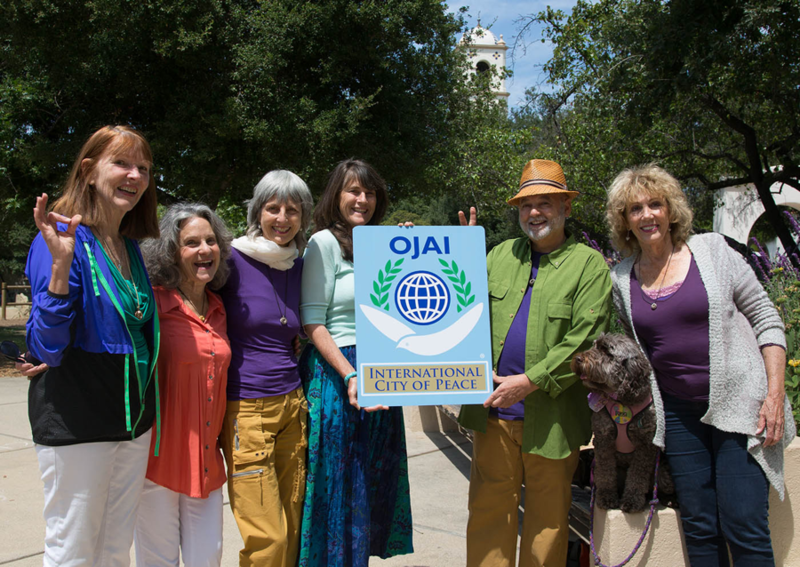 This tradition continues throughout Ojai’s history, attracting many spiritual teachers and healers to bring about greater peace and well being for those who live here and for those who visit. How did Ojai become an International City of Peace? 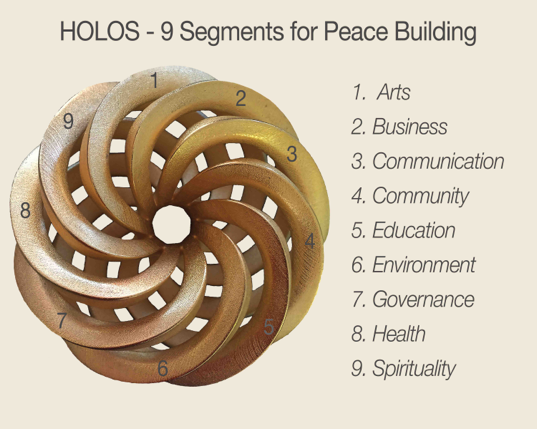 In 2013, artist and peace builder Brian Berman created a unifying sculpture he named HOLOS, a design that symbolizes our One Humanity. He envisioned creating cities of peace around the world, uniting all people as one Global Family. Peace Ambassador Julie Heyman knew of the International Cities of Peace project and together they could unify their vision. 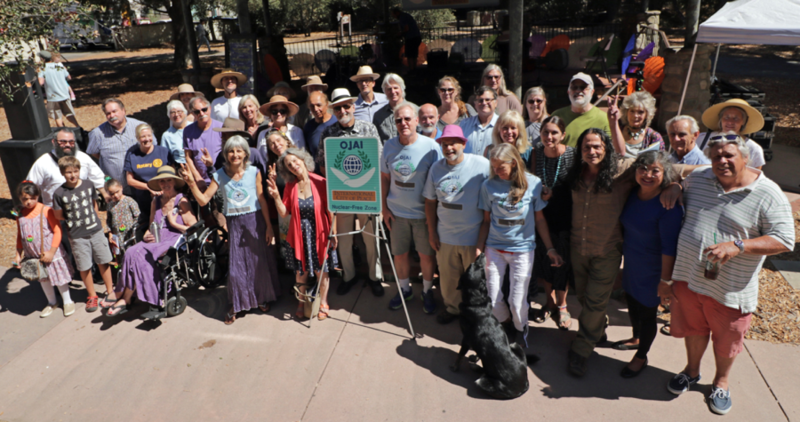 A small group of peace builders came together in the fall of 2014, wrote up our Letter of Intent, so Ojai could become an International City of Peace. Others joined in, gathered signatures and shared the vision. 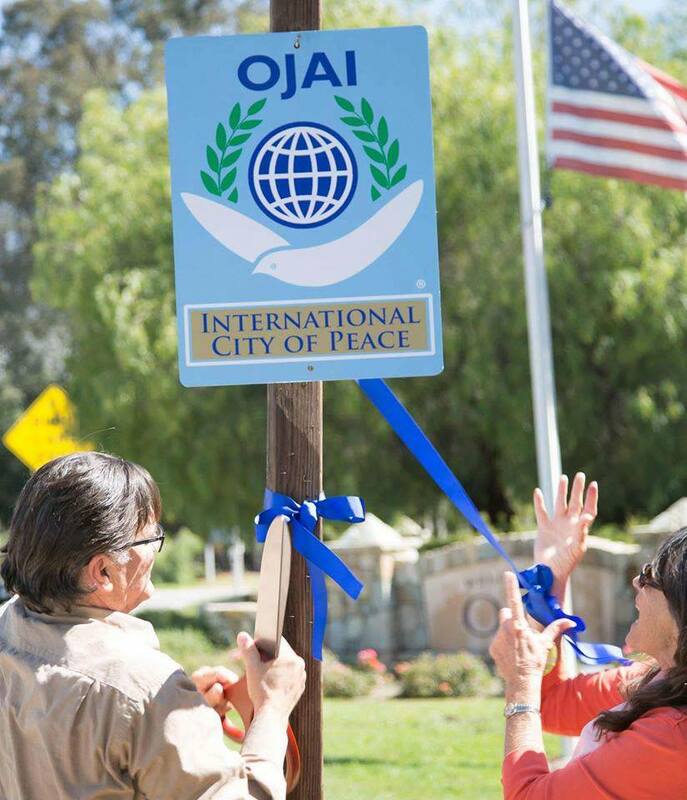 Ojai became the 99th International City of Peace in November 2014. Below is a photo of the 2013/2014 core team. From left to right: Anahata Pomeroy, Julie Heyman, Lisa Berman, Kathy Nolan, Brian Berman, Dianne McCourtney with Lucy (love ambassador), members not present Ray Powers and Silvie Lee. 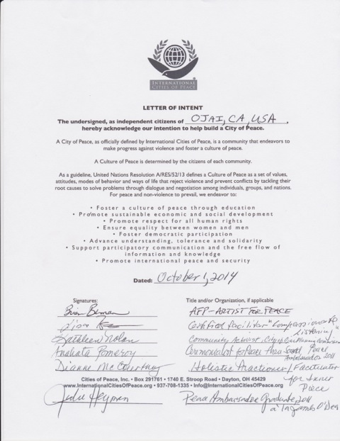 On April 14, 2015, the Mayor and City Council of Ojai presented a city proclamation, declaring Ojai as an International City of Peace and handed the document to the ICP team. The City Council officials support our peace initiatives in the valley and the city granted financial funds to support our events. The ICP Ojai emphasis of building a culture of peace in all segments of the community is mainly achieved by creating events, which educate and celebrate what living in peace looks like. 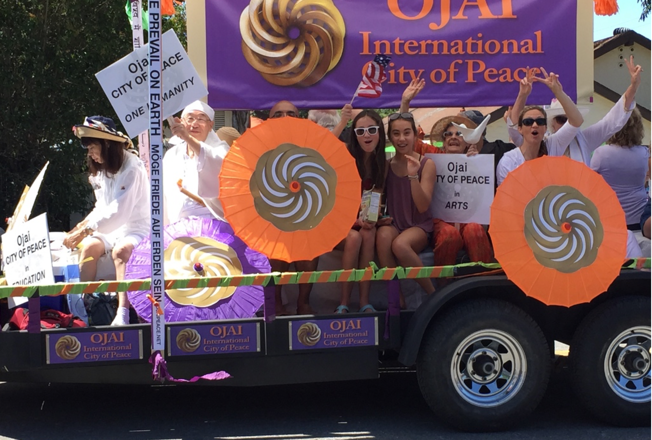 On July 4th 2015, ICP Ojai participated in the Independence Day Parade and celebrated the community’s diversity by having an interfaith, multi cultural, and multi generational parade float, accompanied with songs of peace and celebrating diversity. Thousands of viewers cheered and acknowledged the ICP status and creativity. Since 2015, each year ICP Ojai hosts the United Nations International Day of Peace on September 21st. The focus is to bring community members together for sharing, connection, meditation, prayer, dance, music, art, as well as talks by community members who went through great challenges in life. Participants listened to a child soldier from Lebanon, to a young woman activist imprisoned in Iran, a leader of a motorcycle gang, and many others, all who became peace builders. The skills of listening from the heart were shared to give all attendees a personal experience. Tears of compassion were felt taking these stories to heart, and knowing that wounds from the past can be healed and deeper peace can be found within. 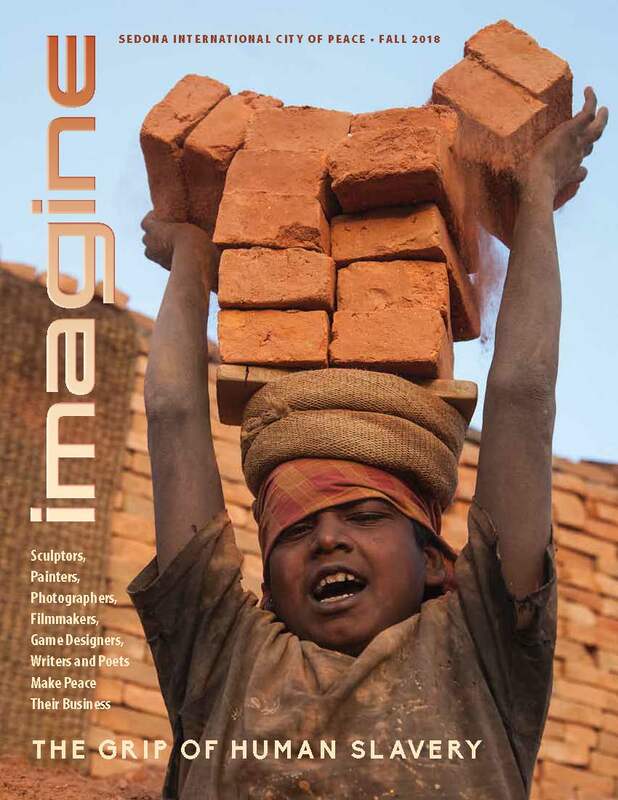 Most of ICP Ojai events help educate and inspire the importance of living in a city of peace. The emphasis is on peace begins within, and from there taking actions which are compassionate and peace building. 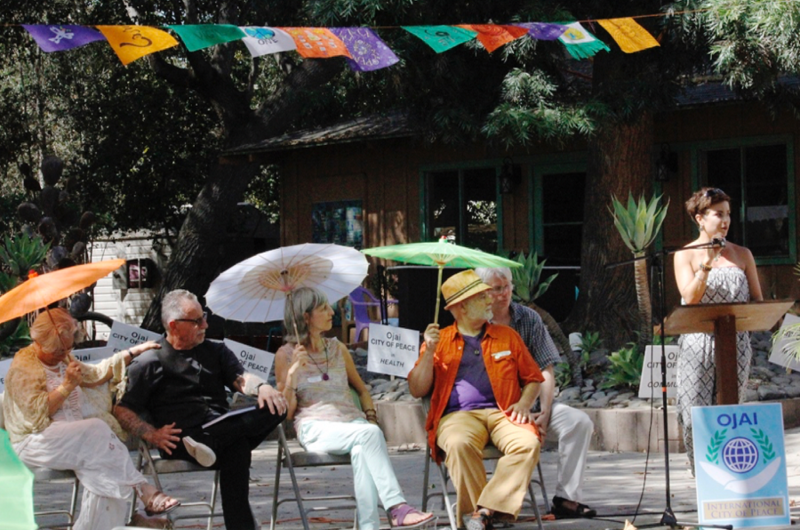 ICP Ojai has hosted Peacemaker Panel Talks, Peace Essay Readings, Student Peace Artwork, Youth and Adults creating Peace Poles and Doves, Peace Photo Contest, Feasts for Peace, and Community Peace Festivals. A website Ojaipeace.net shares and documents ICP Ojai events and also posts on Social Media pages. 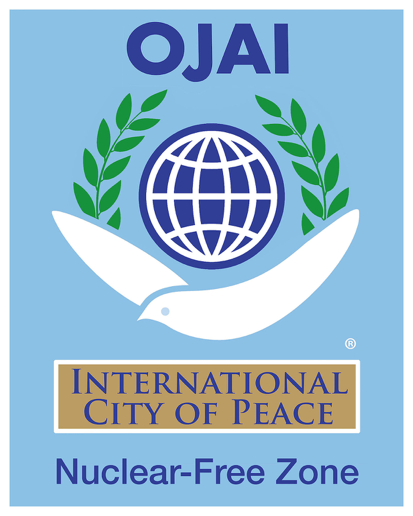 The team also created an International City of Peace road sign, which welcomes visitors to Ojai. Ojai ICP postcards, flyers, posters, and banners also use this design. We offer our sign graphics to any ICP city that wants to use it for welcoming or for printing. Please notify Brian if interested. Another great addition to Ojai ICP happened on April 10, 2018: the Mayor and City Council approved an initiative by Dr. Bob Dodge that Ojai is a Nuclear-Free Zone. This designation will be added to three welcoming road signs. The initiative stipulates that our city will not invest in any company that contributes funding for the manufacturing of nuclear weapons. During our 2018 celebration of International Peace Day, we introduce our new welcome sign. We gathered to unveil our new welcoming sign. In June 2018, Fred Arment was awarded with the first HOLOS Peace Award. We will announce the recipient of this award each year on International Peace Day. 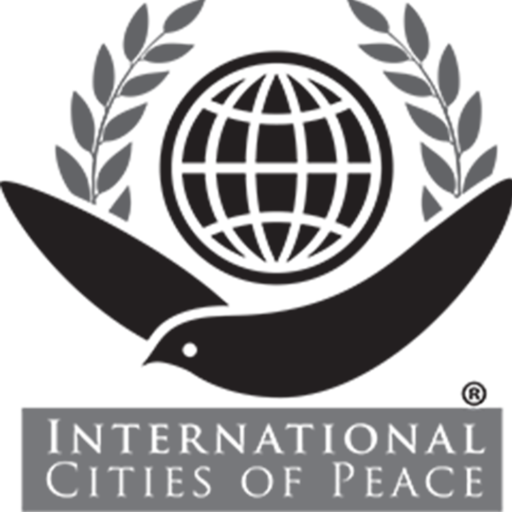 The annual award is presented by AwakeningPeace.org, a program that awards great peace builders for their building a unitive culture of peace. Ojai is a community that fosters a culture of peace within, as well as in our homes, schools, businesses, government and all aspects of community life and livelihood. We are dedicated to serving the emergence of personal, ecological, and universal well being. To honor: a culture of peace based on our one shared humanity and interconnectedness with all life. 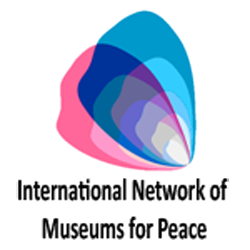 To inspire: educational programs and services designed to empower individuals and the community in establishing an inclusive, sustainable, and enduring culture of peace. To foster: a community that connects with, knows, and respects its neighbors of all ages, backgrounds, abilities, and beliefs. To nurture: a culture of love and peace in body, mind and spirit. 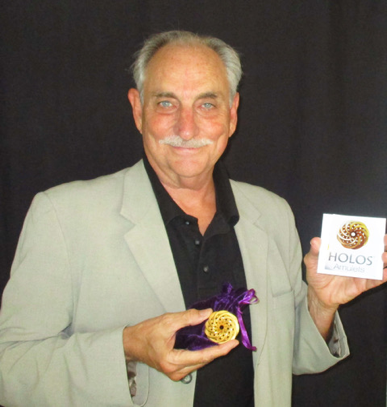 Brian Berman, co-founder of Ojai ICP and local sculptor, created the three-dimensional HOLOS design with its message of Unity. Above you will see the 9 segments of community peace building. HOLOS has an Affiliate Program where your organization can earn commissions on any purchases that are made from your referrals. Here’s the link for information and signing up. Born in New York in 1949, Brian was deeply affected as a child when viewing images of the Holocaust on TV and books on WWII. It wasn’t until 2002 when he was facilitating a Jewish German Reconciliation Project in Germany, that he realized Hitler had made him, inadvertently, a peace-builder. In 1969, he was trained as a peace marshal by a Quaker group to hold the peace during the Moratorium March in Washington DC. In 1970, he recognized that peace begins within so he studied yoga and meditation and began teaching them representing the Integral Yoga Institute. He raised a family and in 1988, he began Citizen Diplomacy work in the Soviet Union, and attended the International Peace Marathon in Moscow. He returned to the States, and after being with people from over 70 nations running a marathon for peace, began lecturing on the vision of our one global family working for peace. In 1989 Berman joined the group Global Family and went on a citizen diplomacy trip back to Russia teaching Barbara Marx Hubbard’s, “Resonating Core Groups” and meditation. In June of that year, with Global family, he helped facilitate, Seeking the True Meaning of Peace, hosted by the Costa Rican government and the United Nations, in San Jose, Costa Rica. The 14th Dalai Lama, and 700 other peace builders attended this conference. Following 9/11, Berman started a listening group in his community to facilitate using listening skills as a path to conflict resolution. In 2002, he was invited by the director of The Compassionate Listening Project to travel to Germany to help facilitate a reconciliation group of Jews and Germans, healing the emotional wounds resulting from World War II and the Holocaust. As a Compassionate Listening facilitator and the former co-director and facilitator of the Jewish-German Reconciliation Project, Berman’s CL work centered on reconciliation and healing the wounds of war. Together with his wife Lisa, they facilitated workshops in the US and Europe and The Art of Listening – a skills building workshop for building peace. In the summer of 2018 he and his wife Lisa formed Awakening Peace INC, a 501(c)3 charity educational nonprofit, with a mission to cultivate peace programs and compassionate action for Unity and Peace in the world. 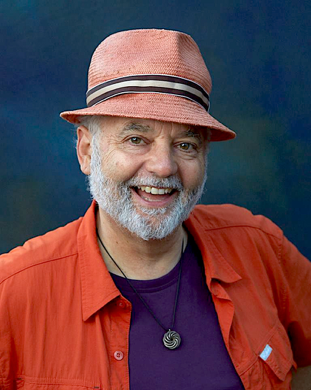 Berman is trained in Hakomi Therapy, Attitudinal Healing, and taught yoga and meditation for many years. He is an award-winning sculptor and teacher. The theme of his artwork is Art for Peace. 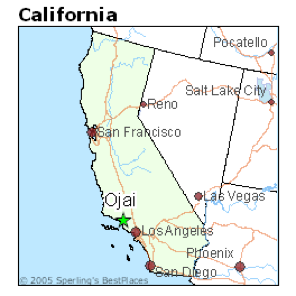 Ojai is a city in Ventura County in the U.S. state of California. Located in the Ojai Valley, it is northwest of Los Angeles and east of Santa Barbara. The valley is about 10 miles (16 km) long by 3 miles (5 km) wide, surrounded by hills and mountains. The population is now around 8000. Ojai is a tourism destination with boutique hotels and recreation opportunities including hiking, and spiritual retreats, as well as for a farmers’ market on Sundays with local organic agriculture. It also has small businesses specializing in local and ecologically friendly art, design, and home improvement—such as galleries and a solar power company. Chain stores (other than a few gas stations) are prohibited by Ojai city law to encourage local small business development and keep the town unique. 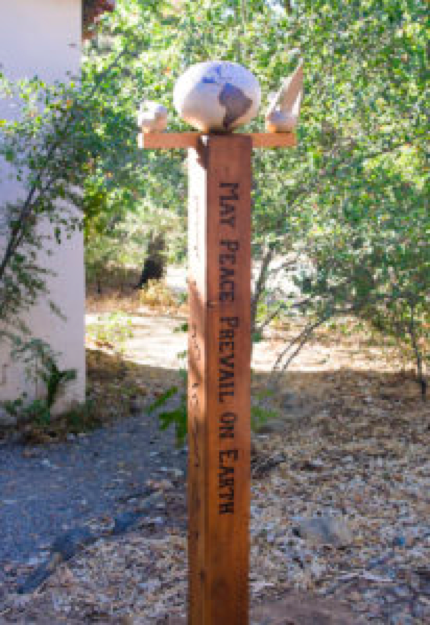 The city of Ojai has numerous peace poles like this one at the Ojai City Hall. The city’s self-styled nickname is “Shangri-La” referencing the natural beauty of this health-and-spirituality-focused region. While there are no known references, it is commonly claimed that the mountains visible from the city were used, but then cut, from the 1937 movie as the mystical sanctuary of James Hilton’s novel Lost Horizon. Ojai’s culture is heavily focused on ecology, health and organic agriculture, walking/hiking, spirituality, music and local art. It is often seen as a hippie-friendly city, and many New Age shops exist. The benign climate has also fostered subcultures devoted to driving and exhibiting classic cars and there are several motorcycle clubs that regularly tour through Ojai as well. The Ojai Music Festival, founded in 1947, is an annual festival of performances by some of the world’s top musicians and composers, and occurs on the first weekend after Memorial Day. Notable appearances include Igor Stravinsky, Aaron Copland, Esa-Pekka Salonen and Pierre Boulez, who was festival director in 2003. The outdoor bookshop Bart’s Books, subject of news programs and documentaries, has been in Ojai since 1964. Ojai is home to the annual Ojai Playwrights Conference, a two week playwrights festival that brings professional writers and actors from across the country to Ojai. The community is served by The Ojai and Ventura VIEW, Ojai Valley News and The Ojai Post.